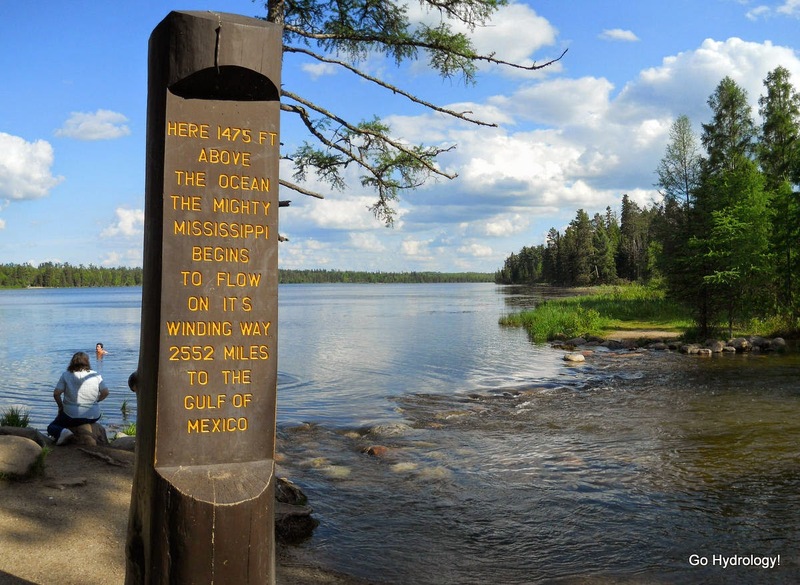 I'd always heard how the Mississippi began as barely a brook. That contrasted to the day I was at its head water source. Outflow from Lake Itasca was overflowing the normally passable rocks. That kept me on the banks instead of forging across. These paddlers joked about running the entire river. Last I looked they turned back. So when were you in Bemidji? Living up here you take for granted that one of the grandest rivers on earth starts in your backyard. About a month ago. On the last day of a short trip to Grand Rapids I unexpectedly had enough time to make the drive to the headwaters which I was not at all expecting to be able to do. Then I looked at the map afterwards and saw that Fargo was just about two hours away. Only then did it cross my mind I should have called. Definitely my bad. (There were some extenuating circumstances, too.) I will email to discuss.